The rapper returns to last year’s I Love Makonnen EP. 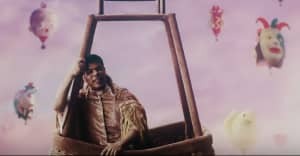 After releasing a clip for “No Ma’am,” a cut off his most recent mixtape, Makonnen dug into his back catalog for his latest visual. “Rumor” originally appeared on the singer/rapper’s I Love Makonnen EP, along with better-known tracks like “Too Much,” “Tuesday,” and “I Don’t Sell Molly No More.” (Drake paired the “Rumor (Acoustic Remix)” with a Basquiat work in his recent experiment matching music with art for Sotheby’s.) The black-and-white clip focuses on a Makonnen, but also on a fan at one of the rapper’s shows, who seems to exist very much in his world, remaining unswayed as the crowd goes wild around him. Read FADER’S feature on Makonnen.